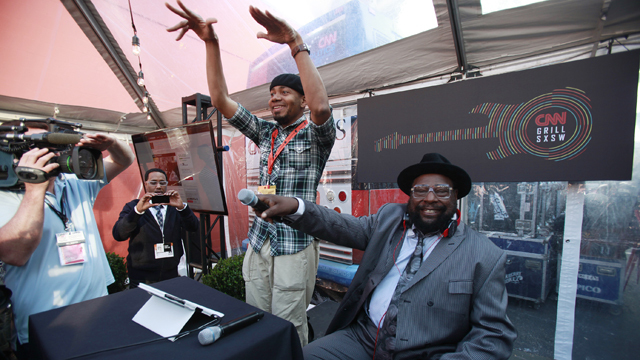 George Clinton came by the CNN Grill at South by Southwest today to do an interview with CNN Newsroom’s Brooke Baldwin. Then came the surprise. After the interview, Clinton made his way to the CNN beer garden to perform a few songs for the crowd gathered outside. For photos of George’s appearance, click here. Credit: John Nowak/CNN. Also, check out CNN’s Live Jam Line up here.